Every day new employees are hired and it is also every day that old employees leave the company they have been working in. There are a lot of reasons why employees leave and the reasons are not all because of the employer or the company. These reasons had been identified through research and with the help of an exit interview form that a lot of companies are using nowadays. 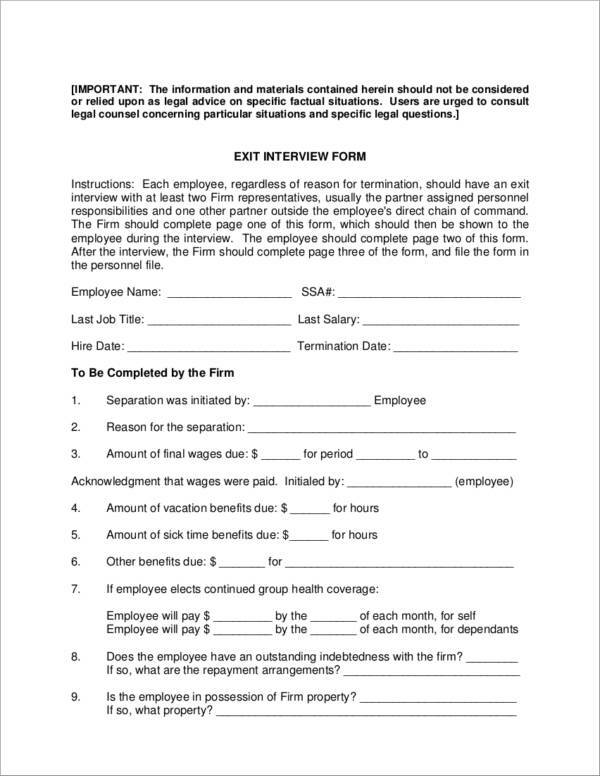 An employee who resigns from work is required to fill out an exit interview form as part of the documentation for the resignation. Not only is it useful for the employer but also for the employee. 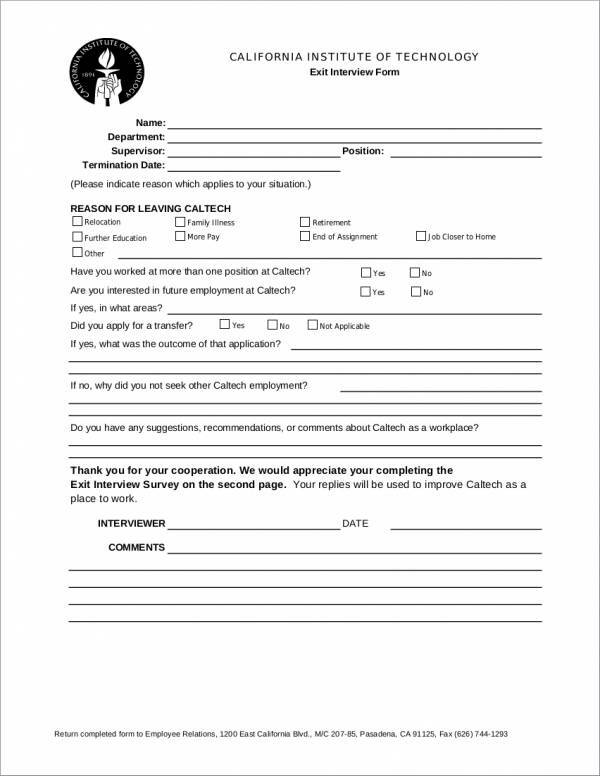 We have prepared here exit interview sample forms to aid you in understanding about what this form really is. We also have other important and good to know information about exit interview forms. 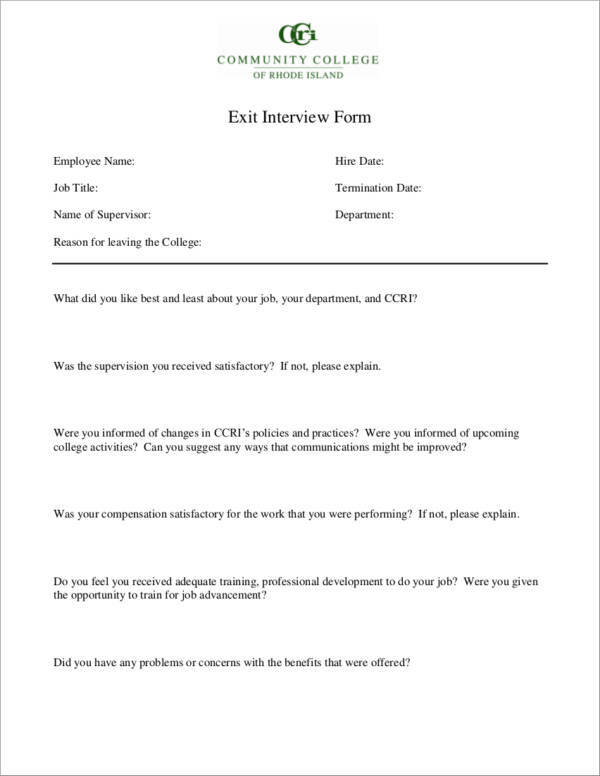 Why Do Employees Need to Fill Out an Exit Interview Form? Exit interviews are only done to employees who resign form their work and nothing else. Some employers or companies provide an exit interview form immediately after they have received the employee’s resignation letter or resignation notice or on the last day of work of the resigning employee. Other companies wait for a certain period of time when the employee who resigned comes back to get their last receivables. Employees need to fill out the form so that their employer will know how they really feel about the company and to tell them the real reason why they are leaving. 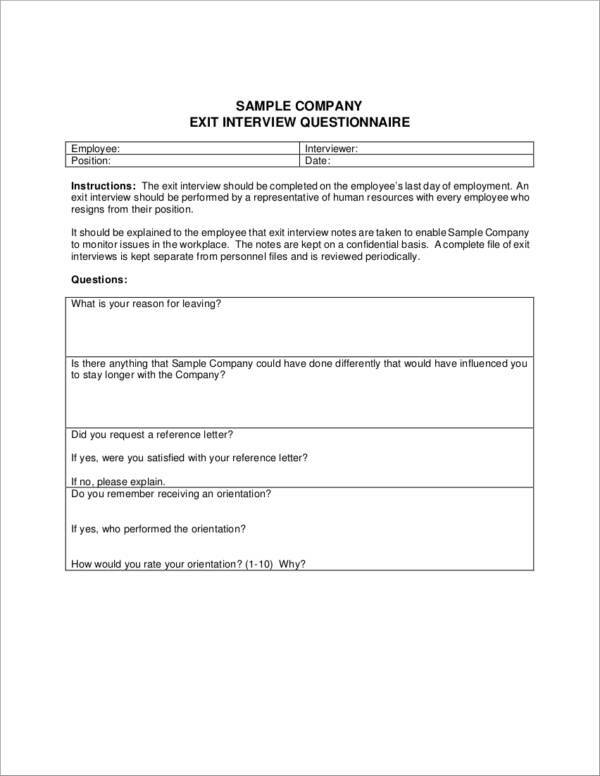 Their employer or company will use the information gathered from an exit interview form to identify issues that caused their employees to leave and determine what they could do better moving forward. You can also see interview consent forms. Never experienced an exit interview before? No problem because we made it a point to gather some questions that are commonly asked either in a face-to-face exit interview or in an exit interview form. If you are one of those who have never left their first company or just started working, then you might be interested in our list below. You can also see interview evaluation forms. What made you decide to leave? What made you decide to leave your current position? Were you unhappy or dissatisfied with your pay/manger/position? What could we have done to make you stay? What did you like most about your job? What did you dislike most about your job? If you had a friend looking for a job, would you recommend us? Why or why not? There are still other questions in an exit interview that you might not see here, but the list above will surely give you an idea on what happens in an exit interview. You need to impress your interviewer in an initial interview or final interview when applying for a job, but you definitely don’t need to do that in an exit interview. You just have to be honest and polite. Of course, there are dos and don’ts that you need to follow when answering exit interview questions so that you won’t ruin your relationship with your previous employer. You might also be interested in our franchise application forms, group evaluation forms, and employment application forms.